Swift Body Harness II is also designed with ergonomics in mind. With our busy lifestyles which include work and play, computer systems can now go along with you in a hands free environment in all areas of your busy lifestyle. The harness can hold numerous styles of computer systems to include tablets and laptops. Designed to be carried on the upper torso of the body, just like its predecessor; Swift Body Harness I, it too is for balanced weight distribution, wearer comfort, with simplistic design for Swift on and off applications. The harness is manufactured with lightweight, soft materials, which can be designed in an array of colors of your choice. 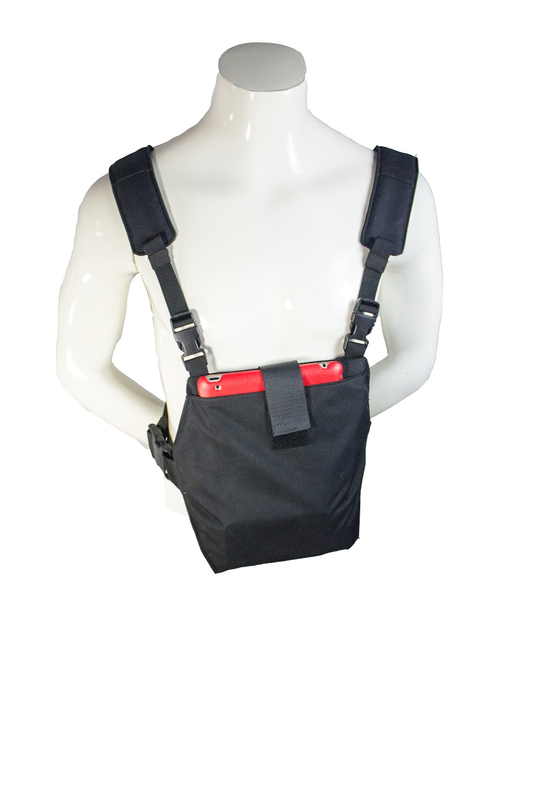 The harness is designed for a “one size fits all” body design. 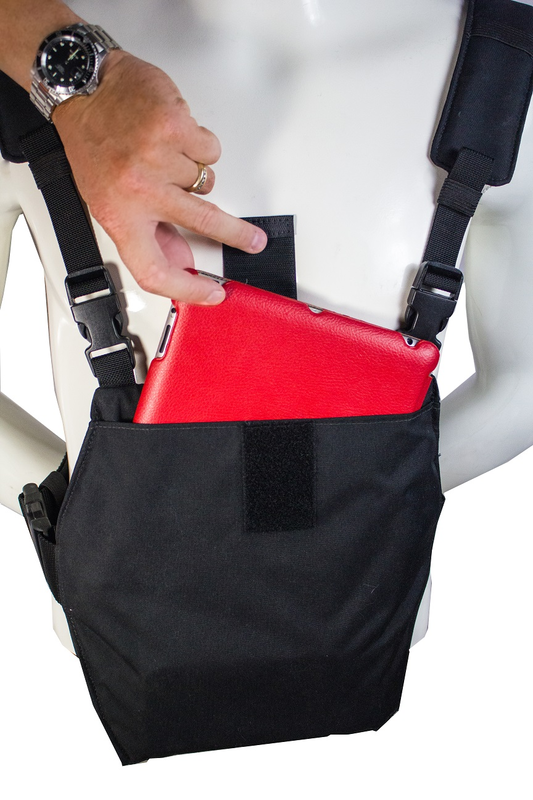 Use the harness to quickly and easily stow and store your precious and expensive tablets and laptops in the soft, front chest carrier and go knowing it is secure, safely with you and easily retrieved. The harness is available in a vast array of colors for professional needs, is fully washable and will not rust. Made from Denier Coated Cordura Nylon Fabric, plastic composites and velcro. To remove the harness from the body, unclasp the waist buckle and simple lift the harness over your head and off your shoulders. A patent, one of a kind design tells you it’s a Swift Harness!